One Touch Law’s mobile application brings you the best lawyers available in one place INSTANTLY via video and phone consultation. 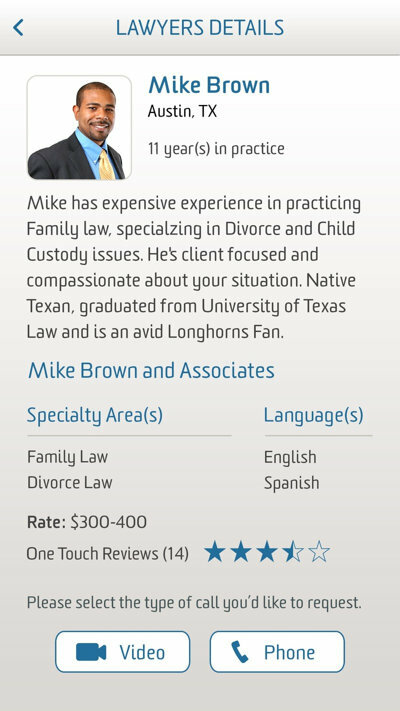 Right from your mobile phone you can search for lawyers, review their One Touch Law profile and reviews, to connect with them with ONE TOUCH of your finger. One Touch Law has made the manual and cumbersome process of searching for a lawyer, instant. We want everything instantly at our finger tips, so why should connecting with a lawyer be any different? Best of all, a portion of every consultation will go to people in the US who cannot afford free legal services. Download our IOS or Android mobile application. Register in a quick minute. Whether you are looking for a personal or business lawyer, in your area or afar, we can help connect you with top lawyers that maybe not be coming in your Google searches. With OneTouchLaw, you can read profiles, reviews, and instantly connect with top lawyers! We live in a world where we want everything instantly at our fingertips. Tired of leaving voicemails, filling out forms waiting for call backs online, or trying to figure out if a cookie cutter form is right for you? 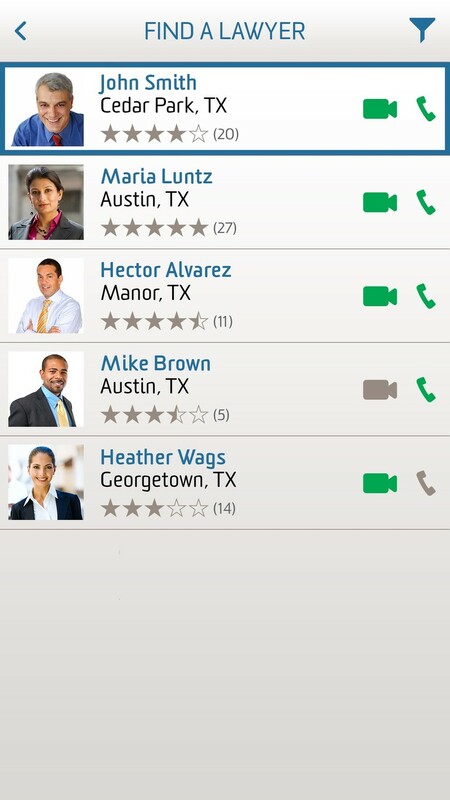 With OneTouch you can see which lawyers are available right now via video chat or phone call. Get instant piece of mind, with OneTouch to connect live with a lawyer. 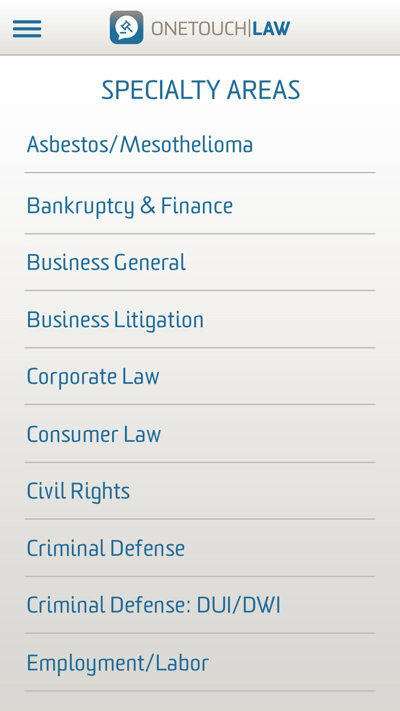 Select and connect with a top lawyer for a FREE 15-minute consultation. After the consultation, mutually decide if you want to share your information and continue your conversation to potentially hire them for your legal needs. In the OneTouchLaw mobile app a connection is made, outside of OneTouchLaw, a relationship is formed. 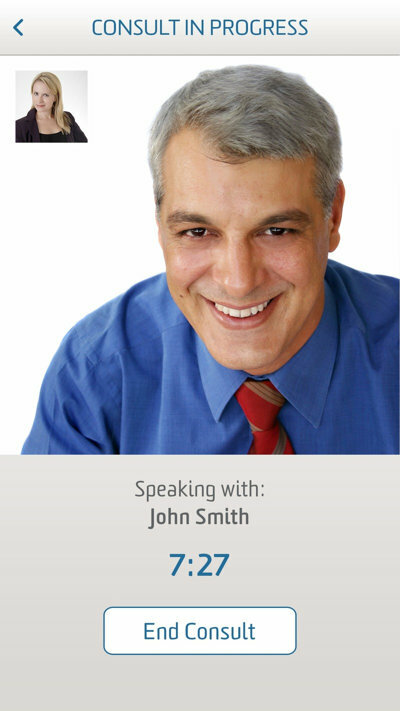 Find a lawyer based on your immediate need. Filter by specialty, location, rates and availability. Review profiles to see who you want to connect with. Connect by the means most comfortable for you. One Touch Law is available on iPhone and Android on itunes or Google Play, download now and begin using in seconds.